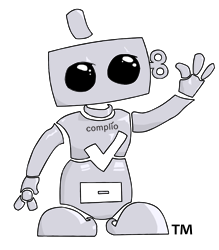 Complio is American DataBank’s comprehensive tool for student screening, immunizations and compliance. The Complio Screening process is simple and straightforward with just five basic steps to complete. The process should take less than 20 minutes. After you have completed your online order application you will need to pick up a FBI Fingerprint packet from your school. Detailed instructions on how to complete this portion of your background check will be included in your packet. Please visit the FBI Fingerprint Information page for further instructions. Once American DataBank has received your online background check order you will need to pick up a Chain of Custody form from your school. Please visit the Drug Screen Information page for further instructions. Once American DataBank has received your online order American DataBank will email you a Registration ID Number within 1-3 Business Days to the e-mail address you provided during the order.